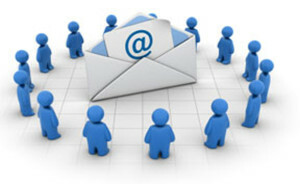 Email marketing is a powerful tool if placed in the right hands. The tool does, however, need to be properly used in order to gain any sort of a result. You wouldn’t wield a nail gun without first checking that there are nails in it. You wouldn’t operate a table saw without the proper techniques. 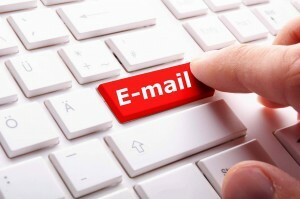 Understanding how to utilize email marketing is half, if not the entire battle. 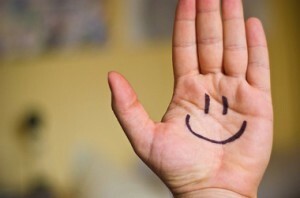 Most business owners have dreams of catchy copy, personalized marketing, and attention grabbing images. What few think of first, however, is the importance of setting up the basics. A simple, easy-to-use sign up form that sends an auto-response should be the first step in creating useful email marketing. You might be surprised how many email marketing campaigns don’t even have an email marketing provider. Sending out timed auto-responses in order to turn sign-ups into followers, distributing consistent, valuable emails, and managing subscriber lists all require a quality email marketing provider. From Mailchimp to Aweber and more, there are plenty of email marketing tools to choose from that provide all-encompassing services. This step is more important than almost any other. So you have your email marketing provider all set-up, your visitors can easily sign-up for email correspondence, and contact databases are growing. The only thing left to do is send out emails that represent a business well while also being attention grabbing. Sounds easy, right? Yes, content creation for email marketing can be difficult, but a business that knows what it wants to say before even starting an email marketing campaign is one that crafts engaging email marketing material. Make sure to have four to five emails written, designed, and tested before ever even sending out or starting a campaign. 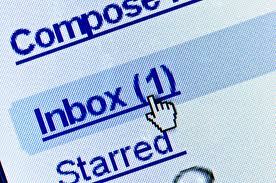 Having access to a small reservoir of content allows businesses to keep a consistent email marketing campaign going. Subject lines, email templates, even entire messages can be tested for effectiveness. Many successful email marketing campaigns have extensive research behind them. Once a business has a reservoir of well crafted emails, testing the effectiveness of such messages is a necessary step. A/B testing, or switching out one headline or one paragraph for another, is a simple way to go about testing an email marketing campaign. Since convincing a reader to actually open the email is usually the most difficult part, A/B testing with headlines is a popular option. Don’t be afraid, however, to test out entirely different emails to see which are most powerful. As with comedy, timing is everything when it comes to email marketing. A message that was sent out at midnight on a Saturday is likely to be lost in the shuffle. A well-crafted marketing campaign that is spread out over months might never be read at all. Testing the timing of an email marketing campaign is vital. Timing and frequency of email is paramount to the overall success of a campaign. Make sure not to bombard subscribers with too many messages. Yes, email is a cheap medium, but it can be quite costly if it turns customers away. Steps 5-9 on how to create a better email marketing campaign will be detailed in part two of this series.